LONGDOM conferences speaker bureau map future challenges through ideation sessions by designing and validating new ideas with end users by placing right speakers in front of right audience at the right time. 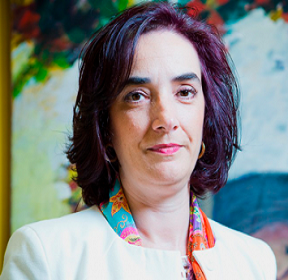 Elvira Fortunato is full professor in Materials Science Department of Faculty of Science and Technology of New University of Lisbon, a Fellow of the Portuguese Engineering Academy since 2009 and decorated with the grade of Grand Officer of the Order of Prince Henry the Navigator by the President of the Republic in 2010, due to her scientific achievements worldwide. In 2015 she was appointed by the Portuguese President Chairman of the Organizing Committee of the Celebrations of the National Day of Portugal, Camões and the Portuguese Communities. Prof.K. Byrappa, obtained his Master’s degree from the University of Mysore, India, and Ph.D. and Post-Doc both from Moscow State University, Russia. 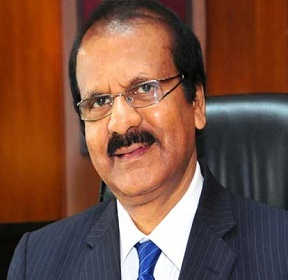 He has served as Vice Chancellor of Mangalore University, and currently working as the Pro-Vice Chancellor of Adichunchanagiri University, India. 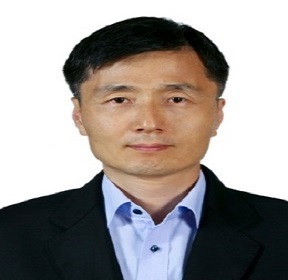 He is specialized in Materials Science, Nanotechnology, Chemistry of Materials and Crystallography. He has successfully guided 21 students for their Ph.D. degrees. He has some of the most highly cited papers to his credit. He was the founder Coordinator of the M.Tech. course in Materials Science, Centre for Materials Science and Technology. A renowned academician and researcher Prof. Byrappa has about 400 research publications in international peer reviewed journals and is one of the world authorities on hydrothermal technology. He has over 34 book chapters and reviews, and has edited 9 books and authored a famous Handbook of Hydrothermal Technology, published by Elsevier Publishers, UK in two editions. 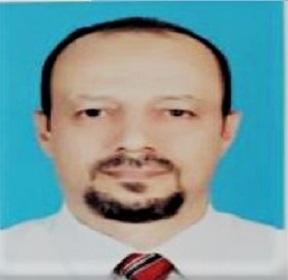 He is an Elected Fellow, Royal Society of Chemistry (FRSC), London, Elected Fellow of World Academy of Ceramics, Italy, & Elected Fellow of Asia Pacific Academy of Materials. Prof. Byrappa has received several awards. In the year 2017, he was awarded Sir CV Raman Birth Centenary Award by the Hon’ble Prime Minister of India. Materials Engineer Graduated from the National School of Engineers of Sfax, Tunisia. Currently holding the position of Project Manager & Quality Development. I have experienced a sense of excitement while working at a project of my own during my graduation, scouting about for physical and mechanical properties of a very challenging material designed for bone substitution. Dr. Ir. 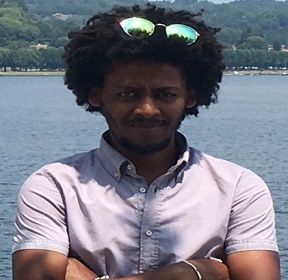 Mesfin Haile MAMME is a joint researcher in Electrochemical and Surface Engineering research group (SURF) and Quantum chemistry group (ALGC) at Vrije Universiteit Brussels, Belgium since May 2014. Mesfin received his B.Sc. in Applied physics from Hawassa (Debub) University in 2006 and M.Sc. in Materials Science from Addis Ababa university in 2013. He was awarded the most prestigious outstanding student Gold medal in 2013, which is only awarded for exceptional achievement. 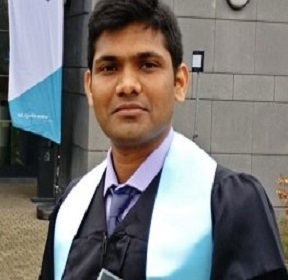 In 2018, Mesfin received his PhD in Engineering Science form Vrije Universiteit Brussel (VUB). 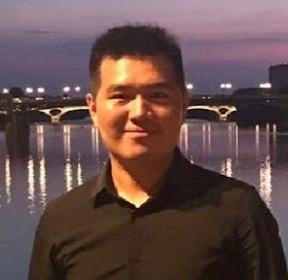 His research interest lies in the computational modeling and simulations of nanoscale materials, electrodeposition, battery, fuel cell, supercapacitor, ionic liquid and 2D materials. 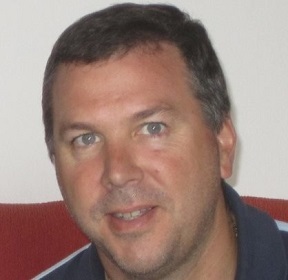 He has collaborated actively with researchers in several other disciplines of experimental and computational modelling and simulations. Hardik Taneja is an undergraduate pursuing B.Tech. in Metallurgical and Materials Engineering at Indian Institute of Technology, Roorkee. His areas of interests include Nanomaterials, Machine Learning, Data Science and Analytics, and Economics. 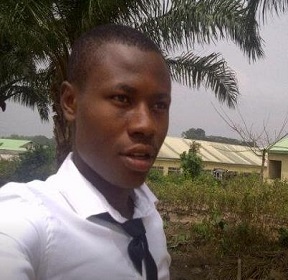 Along with having a decent CGPA, he is a member of two groups in the campus- UBA and IARC. UBA stands for Unnat Bharat Abhiyan which is an MHRD, Government of India project on Integrated Rural Development which is undertaken in almost all IITs. The group works on uplifting the standards of education, health, woman empowerment, women safety and employment in the five village near Roorkee and Dehradun. IARC stands for Institute Alumni Relationship Cell which connects the Alumni of the Institute to the campus and basically act as a bridge between them and the students. 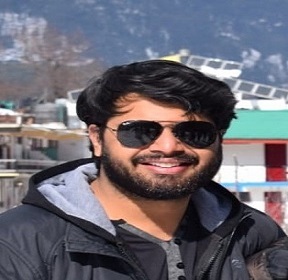 He currently is working on a project under Prof Indranil Lahiri at IIT Roorkee on “Synthesis of Carbon Nanotubes using Bio-wastes such as Polythene and Polypropylene”. 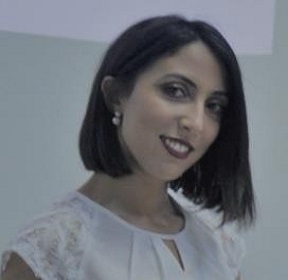 Gabriele Vargas Cesar is postdoctoral researcher at Federal University of Rio de Janeiro. She holds a BSc in Microbiology and Immunology (2010), MSc. (2013) also, Ph.D. (2016) in Microbiology at the Microbiology Institute of Paulo de Góes, Federal University of Rio de Janeiro. She also has a researcher treinee carried out at the Department of Infectious Diseases Microbiology and Immunology at Albert Einstein College of Medicine, New York. 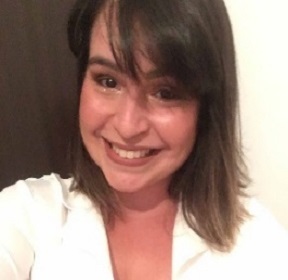 She currently works as a postdoc at the Laboratory of Cell Biology and Magnetotaxis - Microbiology at the Microbiology Institute of Paulo de Góes, Federal University of Rio de Janeiro. She is inserted in the projects of magnetosomes, as magnetic nanoparticles for biomedical applications of relevance for the human. She also works for the inclusion of the visually impaired in microbiology, the micro on touch, based on a 3D print of imaging of microscopy images. Gabriele grew up in Rio de Janeiro city and is passionate about Samba music and to discover new ways of treating diseases in order to improve the quality of human life. Suk-Ho Choi is a professor in the Dept. of Applied Physics at Kyung Hee Univ. (KHU). He received BS from Seoul National Univ., MS and PhD from Korea Advanced Institute of Science and Technology (KAIST). 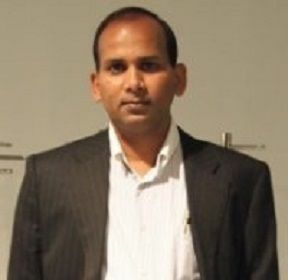 He spent sabbatical years at National Institute of Standards and Technology (USA), Australian National Univ., and Samsung Institute of Technology. He worked as a director at Institute of Natural Sciences at KHU, and was appointed as Fellow Professor from 2009. He has established two major areas of research, one on the optical and electrical properties of low-dimensional nanostructures such as quantum dots/nanowires/graphene/2D-related materials, and the other on their applications in optoelectronic devices. He has published over 210 papers. 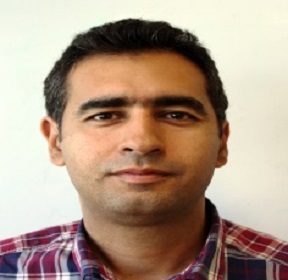 Eduardo Cejuela has a Master’s Degree in Civil Engineering for Universidad de Cantabria (Spain) and is performing his PhD in Coastal Engineering, investigating new possibilities of caissons technology, leveraged through the historical knowledge in this subject. He has published two papers about history of caissons construction and its new challenges and possibilities. He has worked most of his professional career as a contractor in infrastructure projects, usually in contact with remote areas, that have marked his way of understanding engineering and ingenuity as a powerful tool to build in areas with limited access to technology. This way of understanding engineering has led him to investigate since the origin of caissons how they were built, and how could they be built today in very remote areas, by transporting it or by using technologies well known in some remote areas, as construction in fiber glass or composite materials could be. He is now working as consultant for different engineering companies, mainly estimating costs and proposing method statements for construction of infrastructures in Africa’s remote areas. Adil EL YAHYAOUI is a chemistry laboratory manager and works in the nuclear center in Morocco (CNESTEN). 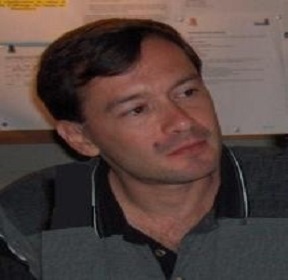 He holds a Ph.D. in organic chemistry, University of Marseille. Adil has 8 years practice as a laboratory manager, he is also responsible for ICP-MS, GC-MS and HPLC analyzes. He has also been involved in research project with the International Atomic Energy Agency (RAF, CRP). So he's coordinator of a RAF project and chief investigator of a CRP project. He has presented an oral presentation on nanomaterials at the CRP meeting in Vienna. Adil accumulated an experience in organic synthesis during his study in France, in analytical chemistry with CNESTEN and in the management of research projects with the International Atomic Energy Agency. 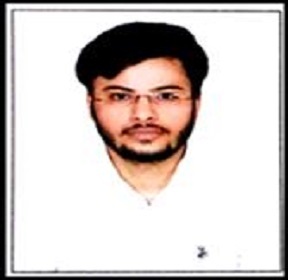 Mohit Yadav received his B.Sc. degree in Chemistry from Hansraj College, Delhi University in 2013 and MSc. - M.Tech. (Dual degree) in Nanoscience and Nanotechnology from Amity Institute of Nanotechnology, Amity University, Noida, India in 2016. Since December 2016, he is pursuing his doctoral degree under the supervision of Dr. Seema Garg and Prof. Klara Hernadi as a research fellow at Amity University, Noida. He is getting junior research fellowship from Department of Science and Technology under Indo-Hungarian project. His current research concentrates on the synthesis of novel bismuth-related compounds and its composites for photocatalytic applications. 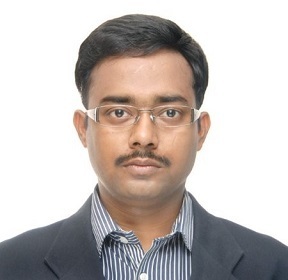 Diptiman Choudhury has a Ph.D. from Department of Biotechnology, University of Calcutta, India. After finishing his post-doctoral research from Cedars Sinai Medical Center, California, USA, Dr. Choudhury had joined as Assistant Professor and coordinator of M.Sc. Biochemistry in School of Chemistry and Biochemistry, Thapar Institute of Engineering and Technology (TIET), Patiala, PB, India. Dr. Choudhury has been awarded an Early Career Research Grant, from Department of Science and Technology, Ministry of human resources, Govt. of India, in 2016-17. Dr. Choudhury has published 20 research papers and 2 patents. Some of the awards Dr. Choudhury has received include Best Speaker Award- Jadavpur University-2010, Young Investigator Award ICONSAT 2012, Institute Performance award-2017, TIET, and a number of international travel grants. Dr. Choudhury is interested in nano-bio interactions, diabetic wound healing, bio-imaging, and drug delivery. Pharmaceutical biotechnologist with a PhD in neuroscience, today I work in scientific communication as a medical writer. LONGDOM Conferences is giving me the opportunity of being in contact with amazing researchers and being part of high-level scientific events. I would like to thank you very much that you gave me a chance to participate in such great conference since all thing organized very well and I have a good new relation with new scientists from different countries. My university proud about my participation and especially it is as speaker. Thanks again. LONGDOM conferences are a great place to make new contacts, source new products and do some research. I’ve brought my team with me and we all get something from it. You can achieve a lot in three days here.